During the week, I updated my WhatsApp status with a link to my Piggyvest experience. I got some positive feedback from friends who also use the app. Friends who were hearing about it for the first time and hate to Google about stuffs messaged me privately to ask how Piggyvest works. I had a hard time replying. I guess till now, I haven’t replied all. However, one particular reply made my day. This friend of mine shared what he has been able to achieve since he started using Piggyvest. You just rekindled my love for this app bro. As much as I like the Piggyvest app, there are still somethings that I would love to be implemented. Maybe in the next upgrade. I was working on my own jejely when one of my friends called and said “Chris you be big man oo”, I saw how much you’ve saved in the 365 Naira daily target group”. On top how much nitori olorun? For privacy or security reasons, Piggyvest should allow us pick a username for each target group we join or a site-wide username is also welcome. Although the app only shows your first name and the first alphabet of your surname. It’s still not enough. Piggyvest is still growing and very soon a lot of users will be on this platform; including family members and friends. You see, family members and friends are the biggest culprits in borrowing money. Immediately this set of people perceive you have a certain amount, they come to borrow. Besides, they are the hardest people to tell no. Normally, I would just lie and say “As you see me like this, even 1 Naira I no get” but it would look like I don’t want to help. Trackit is one Piggyvest feature I love so much but I rarely use it. Because I have to scroll almost to the bottomless pit to find it. And that’s not all. It’s not easy keeping track of all my expenses every day. At least, Trackit should be a little bit automated just like the Paylater Finance Manager. If you’ve used Paylater then you have seen how efficient the Paylater Finance Manager works. The Finance Manager automatically scans your SMS messages for debits and credit alerts. It automatically detects the kind of expense you made and records it in the Paylater Finance manager. This would work for people who make a lot of purchases online. Although it doesn’t solve the issue when users pay for items with physical cash but at least, we don’t have to enter records for both online and offline transactions. Shey you get my point? It’s good to know how much I have saved and what I spend my extra cash mostly on. In a nut shell, the Trackit feature should be moved to the top of the app and it should be automated to an extent. Users could also be offered points/incentives for entering their daily transactions manually – those transactions that could not be captured automatically. When I first got to know about Piggyvest, one thing caught my attention – the referral program. 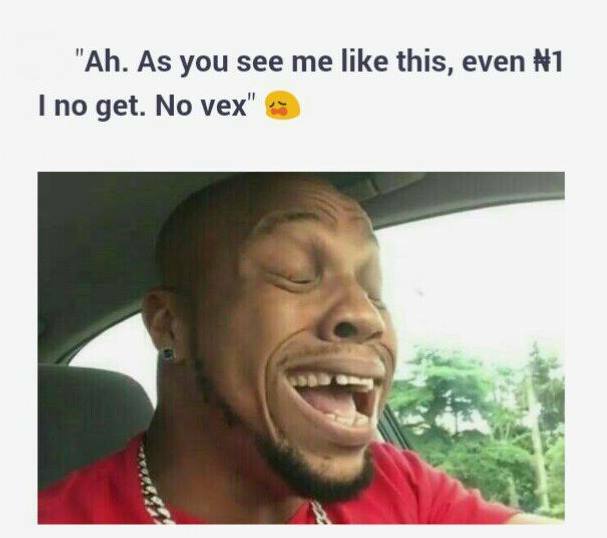 You invite someone to Piggyvest with your referral link, the person funds the account with 1000 Naira and both of you get 1000 Naira each instanta. I took out my calculator and calculated how many people I needed to refer to get One million Naira. Just 1000 people and I would have been a millionaire. I quickly sent an email to Piggyvest to confirm if there was a limit to how many people I could refer and a customer care rep replied. I took out my brown notebook and jotted down strategies to refer over one thousand people. You know what happened few days later? 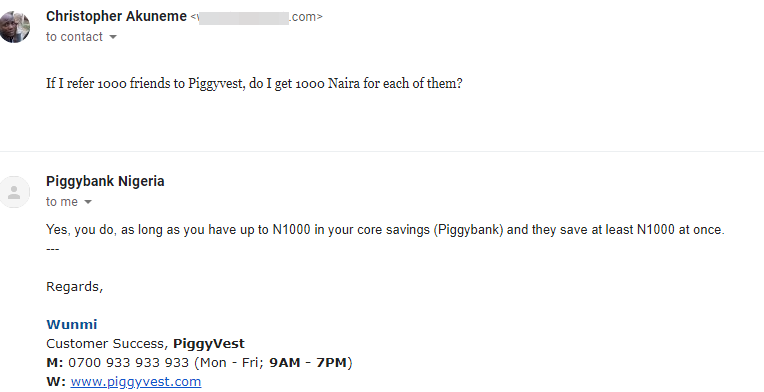 Piggyvest reduced the money from 1000 Naira to 500 Naira. Ahh, my head was hot. After all the planning. It was as if someone said, “Alaye we will double your hustle” while reading the email I sent at Piggyvest headquarters. No public announcement, no sorry. Don’t mind Justin Bieber, it is never too late to say sorry. With this little point of mine, I hope I’ve been able to confuse you and not to convince you that Piggyvest needs some little changes. Drops mike and walks off the stage. Get updates in your email when I publish new contents. Game of Thrones Season 8: Who Else Would Be Watching?